The oral arguments for the Texas abortion case, the three female justices upend the Supreme Court's balance of power. Roberts spends a good deal of Toti’s remaining time suggesting that the “undue burden” test after Casey has nothing to do with the state’s purpose in passing the law. Toti replies that the court looked carefully at the state’s intent when it assessed the abortion regulations in Casey. 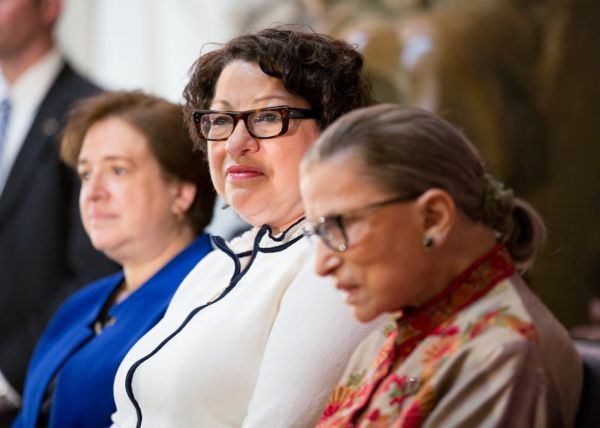 At around this point, Sotomayor decides that she has some things to say: “There’s two types of early abortion­­ at play here. The medical abortion, that doesn't involve any hospital procedure. A doctor prescribes two pills, and the women take the pills at home, correct?” Toti explains that the woman has to take them at the abortion facility under Texas law.